One of the things I participate in a lot is our church activities. I’m involved in a ladies bible study weekly and we are going through the Old Testament prophets. We are currently studying Amos. 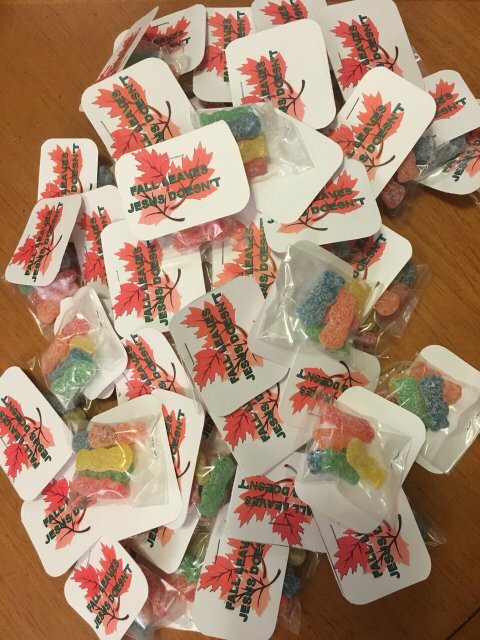 The day will be our fall festival for the children and I made these little treats for them. Are you active in your church? What have y’all been doing as a church? Any ideas I can do for the Christmas celebration with the kiddos? I SURVIVED: Backyard RF offset, Hybrid RF Offset trailer rig w/Cowboy cooker & fish fryer, UDS, running out of room for more. I don’t know why the attachment didn’t get posted but here it is. Rodcrafter wrote: I don’t know why the attachment didn’t get posted but here it is. Thanks RC! I'll learn this forum thing eventually, you have a few years head start on me! 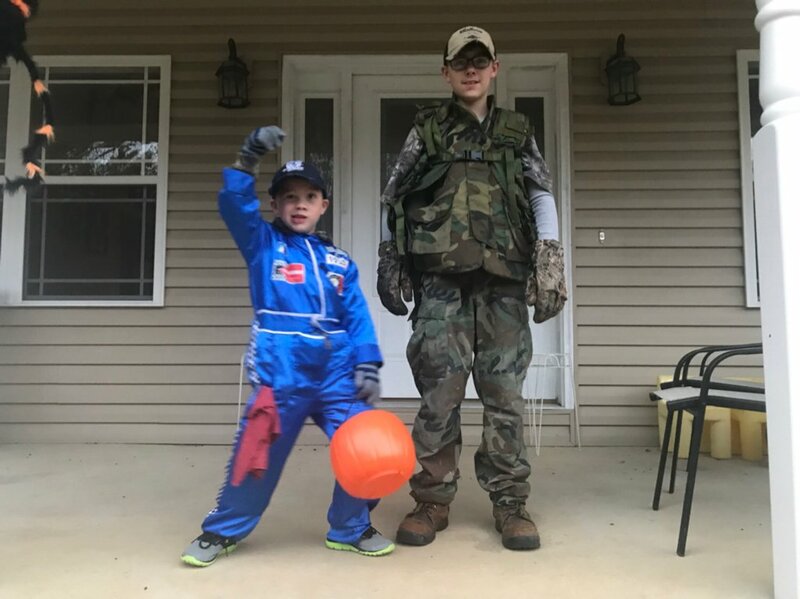 Ben is going as a pit crew member and Joe as an army guy. I’ll post some pictures from Halloween. Here’s the boys! GI Joe and Pit Crew Guy. I don’t know why Ben is gyrating. It looks like it got cold up there after we left. MrsSmokerBuilder wrote: Here’s the boys! GI Joe and Pit Crew Guy. I don’t know why Ben is gyrating. The gyrations would be shake n bake, Baby, shake n bake!